Beautiful Mountain and Waterfall views from Villas of Kamalii 19 located in a private gated community within Princeville. This split level three bedroom/three bathroom townhome is in excellent condition. 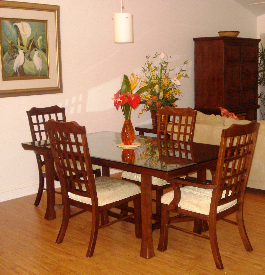 Asian-influenced d?cor and Wilson Art Hand Scraped Hickory flooring in the main living area add to the appeal of this elegant townhome. The large foyer invites you into the home. 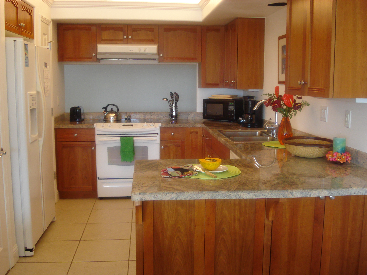 Walk up a few steps into the living room/dining area and kitchen with beautiful wood cabinets and granite countertops. And this townhome has air conditioning! 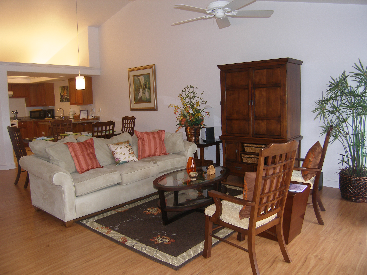 Two master bedroom suites: one on the upper level and one on the lower level. 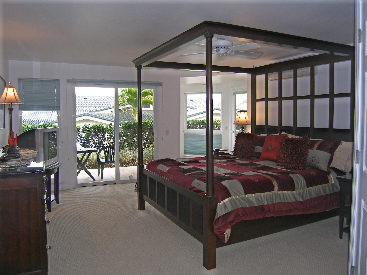 Both master bedrooms have their own private lanais. Both bathrooms offer dual sinks. The upper level master bathroom includes a walk-in glass block shower and the lower level master has a jetted tub. 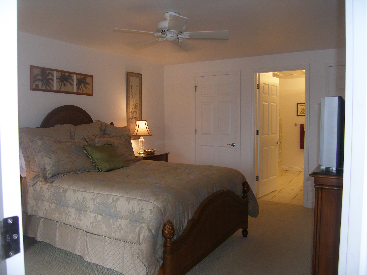 The third bedroom is just across the hallway to the third bathroom. Single car garage. Laundry is located on the lower level. 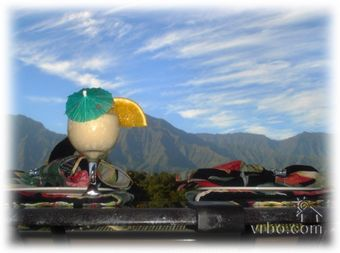 Villas of Kamalii amenities include a swimming pool, spa, barbecue area. The development is located adjacent to the Makai Golf Course and Tennis facility. Nearby is the St. Regis Resort,world class dinning and just a few minutes to some of the most beautiful beaches on Kauai.